It's well known that Jerry Seinfeld, host of the web video series "Comedians in Cars Getting Coffee," has a particular fondness for Porsches. In fact, he owns so many that he sold some to make room in his rather capacious garage for more. The auction firm Gooding & Co. offered 16 of the Porsches at an event near Jacksonville, Florida. All but one sold. This is one of the newer ones. 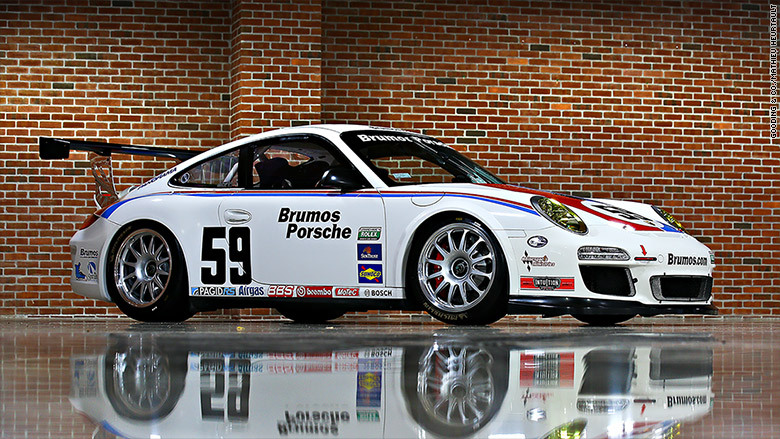 Five of these specially equipped cars were made to commemorate Brumos Racing winning the Grand Am Championship in 2011. Each of the cars was equipped to match the Porsche cars that Brumos raced that season. Seinfeld purchased his directly from Brumos. He drove the car for little more than an hour during a private track day at Willow Springs Raceway near Los Angeles. All prices in this gallery include a 10% "Buyer's Premium" paid to the auction house. Editor's note: This has been updated with auction sale prices.